Recommendation: A must read but be cautious of the complex plotting in the series. 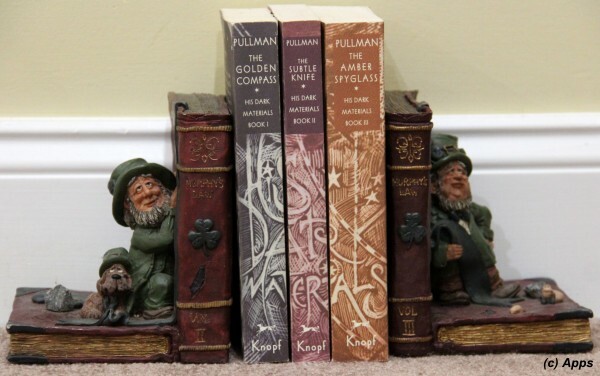 After watching the movie Golden Compass, my curiosity piqued and made me read the series. I must say the movie was much more visually appealing than the book. Perhaps that was what made me like the series as well. The book titled as Northern Lights elsewhere but as The Golden Compass in North America was written by Philip Pullman published in 1995. 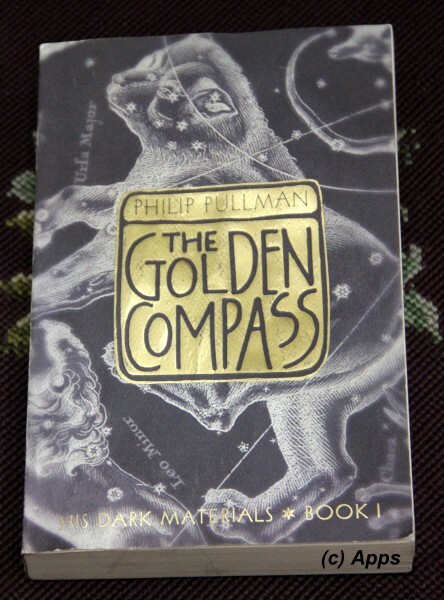 It is the first book in the His Dark Materials Trilogy. The story is set in an alternate universe where every human is associated with their daemon. Daemon is one's inner self manifested externally in the form of an animal. One such 12-yr old girl is Lyra Belacqua who has Pantalaimon as her daemon. Unawares of what the perils are lurking closer or where the next day takes her, she runs around wildly in Jordan College, Oxford under the shelter of the college's Master. Until one day she comes across the Master poisoning the wine intended for Lord Asriel, Lyra's uncle. Warning her uncle, witnessing his lecture on the mysterious elementary particles called "Dust", listening about a parallel universe seen through Northern Lights and when her friend Roger goes missing - presumably kidnapped by Gobblers - puts her into a path of dangerous and thrilling adventure. In this path, she gets adopted by Mrs. Coulter who is charming but has a hidden secret. However with the alethiometer given to her by the Master, she keeps herself away from danger at every step. When she learns of Mrs. Coulter's secret, she escapes to join Gyptians - canal-faring nomads, where she learns that Lord Asriel and Mrs. Coulter are her parents. Thus begins her adventure of finding the missing kids. She meets Iorek Byrnison - the dispossessed royal heir of the panserbjørne armoured bears, learns about Intercision - separating the daemon from the child, aids Iorek in fighting Iofur Raknison to get his throne back, watches Asriel walk into the parallel universe and finally follows him to find more about Dust and stop Asriel from making drastic decisions. Book 1 ends leaving us at the edge of the unknown Subtle Knife. Although the movie hadnt made it big at Box Office in US but gathered masses outside of US. However its failure had not deterred me to read the book. The movie gave me the visual effects for the book that otherwise I might have had taken a little time to grasp. The book in itself was well written, taking us thru parallel universes, introducing us to fantastic beasts and the enigmatic Dust. The complexity behind is well explored and put in front from layman's perspective. Per Wiki, Pullman wrote the series as a retelling and inversion of John Milton's Paradise Lost, commending humanity in the series. The title of the series as well as the first book (American release) have thus been taken from the poem. All in all a must read but be cautious of the complex plotting in the series.